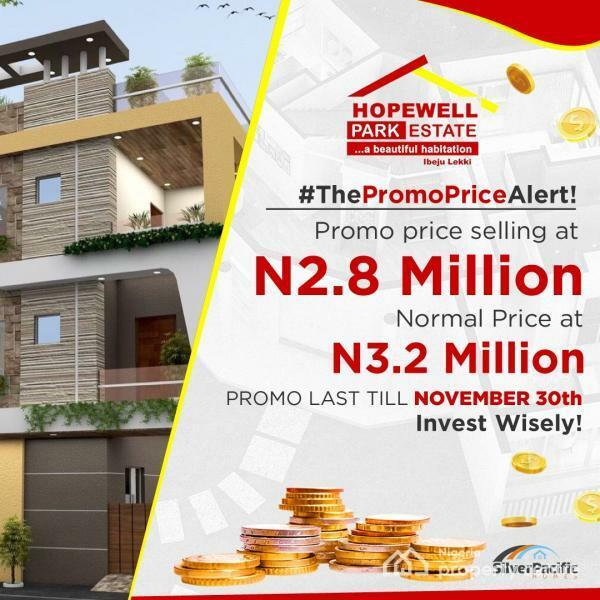 HOPEWELL PARK ESTATE is a fast developing garden located in the up coming region and industrial belt of Lagos State, off the Lekki Free Trade Zone, Ibeju-Lekki with closed proximity to rapid Development. The information displayed about this property comprises a property advertisement. Nigeria Property Centre makes no warranty as to the accuracy or completeness of the advertisement or any linked or associated information, and Nigeria Property Centre has no control over the content. This property listing does not constitute property particulars.The information is provided and maintained by Micheal King Ltd.